In case the name isn’t a big enough giveaway, the only products you’ll find in this brick-and-mortar store have a four star or higher rating on Amazon. It’s a clever way to fill shoppers with confidence that everything they buy won’t disappoint. If you happen to be in the New York neighborhood of SoHo today, on Spring Street between Crosby and Lafayette Streets, you’ll be able to visit the latest Amazon brick-and-mortar store concept. It’s called Amazon 4-Star. The idea of 4-Star is simple: create a physical store where customers will be offered a range of products which all have a four star or higher rating on Amazon.com, class as top-sellers and are new/latest models. The products available come from Amazon’s most popular shopping categories including Amazon’s own devices, consumer electronics, kitchen, home, toys, books and games. We’re used to seeing other products recommended on Amazon.com under the headings of “Most Wished For” and “Frequently Bought Together,” and Amazon is extending this idea in-store so you’ll see products stacked next to each other on the shelves if they are bought together regularly. 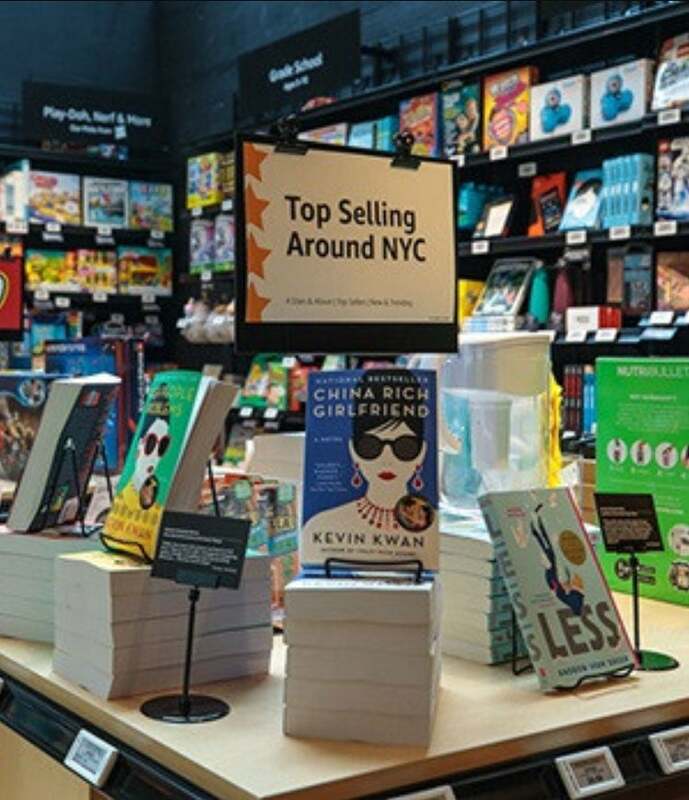 As it’s a New York store, there’s also a product area for “Top-Selling Around NYC” suggesting that if 4-Star is popular, each store will cater somewhat to its location with product availability. Such is the wealth of data Amazon has access to, it can even state what the average review rating of all products in the 4-Star store is. On opening day, it’s 4.4 stars apparently. There’s also little cards next to products with reviews taken from Amazon.com listings. If you’d like to visit Amazon 4-Star, the store is open 10 a.m. to 9 p.m. Monday to Saturday and then 11 a.m. to 8 p.m. on Sundays. Be aware, though, that every product in the store has two prices. If you’re a Prime member you’ll pay the Amazon.com price, but non-Prime members will pay list price. Of course, I’m sure there will be a lot of encouragement to sign up for Prime while you’re there.